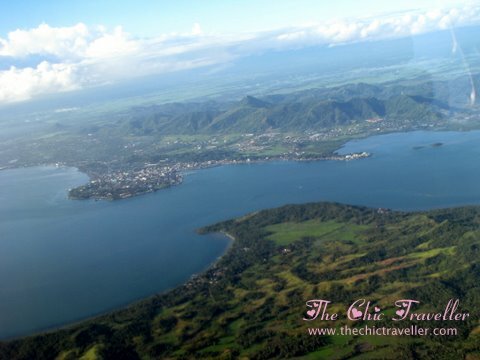 Here's an aerial view of Leyte as our plane ascended from their airport to go back to Cebu. It's a wonderful sight. The place is so vast that any traveller would surely find something to love in that place. i was in ormoc and tacloban two years ago. i like the landscape of leyte from the plane i remember taking aerial shots of leyte as well. i even got the chance to take a shot of the marcos bridge. One of my favorite places during landings is Tacloban. I love the scenery before the plane lands by the beach pero in reality runway na pala. Wow what a breathtaking view, Mitz. Leyte is such a wonderful place! That's an awesome view. I love looking out the window from the plane too. I've never been to Leyte.